Cornelis Hollander understands that an investment in the right jewelry piece is not only a financial investment but often also an investment in relationships. We have multiple financing options to add flexibility to your jewelry purchases. We offer competitive rates, online account management, flexible credit limits, as well as a fast and easy application process. Talk to one of our specialists and ask about financing options and opening a line of credit for your jewelry purchases. 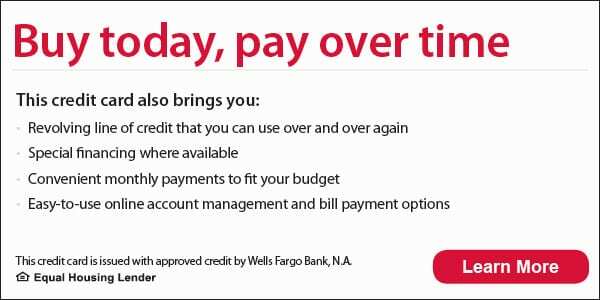 0% Interest Special Financing Options for 6, 12, 18, 24, or 36 Months are Provided with Approved Credit by Wells Fargo Bank, N.A.